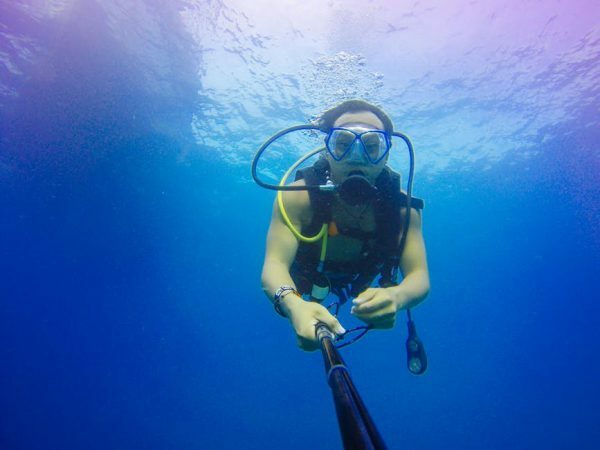 Have you wondered what is the best GoPro camera for scuba diving and underwater use? if yes, then you might want to continue reading! Scuba diving is not for everybody, but it’s impossible to deny that it has a lure of its own. Diving in to explore the underwater world is not only adventurous and daring, but also addictive. And as you fall in love with the coral reefs, schools of fishes and the occasional sea turtles, you begin to yearn for capturing photographic memories of your dives and share your unique experiences with others. It does not matter whether you are a photography enthusiast or a simple diver who just got his license – partaking in underwater photography lets you have fun and capture visual memories of your experience at the same time. And well, who knows, one day you might even decide to take up underwater photography as a profession! If you are not a seasoned photographer and aren’t too sure about the specifications of cameras, it is important to know that adventure sports like scuba diving have high requirements – those that cannot be met by an ordinary camera. You need special cameras called action cameras, and there’s no looking beyond GoPro while talking about action cameras. Indeed, GoPro has been the most consistent and trusted brand in this genre for quite a few years now. Not only have they constantly provided products with superior quality, performance, reliability and longevity, but also maintained their position as arguably the best company in the market currently. With scuba diving growing in popularity rapidly, it came as no surprise when GoPro announced the release of their latest device – the GoPro Hero 6 Black – a few days ago. Although the previous Hero models did a great job in underwater photography and video footage recording, the Hero 6 Black is here to finally up the game several notches above its predecessors and take the experience of scuba diving to an entirely different echelon. The single major upgrade that got everyone excited and talking the moment it was announced is the GP1 processor. It is a new image custom processor that has been introduced for the first time in a GoPro device – the Hero 6 Black – and has already been found to do a fantastic job with low light footage, resolution and frame rates. Low light is frequently an issue when you are filming underwater, especially if you are not using a video light. The Hero 6 Black takes care of that, and performs far better than the Hero 5 Black ever did. Further, color and contrast changes are inevitable when you are shooting underwater because light, when passing through a denser medium like water, tends to scatter resulting in a footage that needs a lot of editing. This is why underwater photographers prefer to use filters – red and magenta being the most popular ones – to negate the color changes as much as possible. The Hero 6 Black, courtesy its fantastic processor, preserves a lot of that original color and contrast underwater, and provides for far better contrast without filters than the previous GoPro models. In fact, it’s so good, that you might even consider not using a filter at all. The GoPro Hero 6 Black flaunts a rubberized body that is rugged and resistant to water up to a depth of 10 meters without any protective covering. This may suffice for swimming pools and shallow lakes where you won’t need to dive too deep, but if you are planning to take no half measures, you will be required to buy a case that lets you take your GoPro along while diving to depths of 50 meters or more. Why the Hero 6 Black is the Best for Scuba Diving? Ever since the announcement of its features, experts across the world have opined that the Hero 6 Black is the best GoPro camera for scuba diving. A closer look into the specifications will tell you why. There are several areas where the Hero 6 Black outscores all other action cameras in the market currently. GoPro had done pretty well in the market last year with its Hero 5 Black that boasted of all the best features of the previous models combined into a single camera. With its new release of the Hero 6 Black, GoPro builds on the sound foundation and brings a number of improvements to the table that, quite simply, stand out. For one, the Hero 6 Black is able to shoot at 4K resolution at 60 fps. This is a major improvement from the 30 fps of the Hero 5 Black while recording at 4K. Check my Hero6 vs Hero5 comparison. Further, you are now able to shoot 240 fps slow motion videos at 1080p resolution with the Hero 6 Black. In comparison, the Hero 5 Black used to offer 240 fps only at 720p. Another area where the Hero 6 Black outscores its predecessor when you compare underwater footages of the two is the image stabilization. GoPro’s latest device offers a much better experience and fantastic stabilization underwater where camera shakes and jerkiness is a frequent problem. The fact that it allows electronic image stabilization at 4K resolution at 30 fps and 1080p at 120 fps is a huge boost to underwater photography. The recordings are so beautiful, that you may want to upgrade to the Hero 6 Black simply for the stabilization it offers, if not anything else. The standard resolution used in standard digital video settings these days is 1080p and the frame rate used is 60 fps. This provides full HD resolution while not compromising the ability to process the video and upload it to social media sites without any hassle. Shooting at 60 fps allows the camera to use a faster shutter speed. This helps in capturing fast action and enables you to pull still images from the recordings. However, this may be a bit demanding for your computer and it’s possible to have a jumpy playback while watching the footage on your computer. In that case, you may either have to reduce the frame rate or upgrade your CPU. If you are a novice and just starting out with photography, it is recommended that you don’t use a higher resolution than 1080p. It’s a popular resolution these days, and a convenient one to record underwater as well as play on your computer without worrying about processor upgrades. You can also check the list of best computers to be used with GoPro cameras. However, if you are an experienced campaigner and enjoy shooting at 4K, this is going to be an absolute treat for you! Provided your computer can handle it, recording videos at 4K at 60 fps will allow you to reap maximum benefits out of your device. The higher frame rate means you can slow down the video and experience the surreal visuals of a sea lion performing acrobatics in incredibly smooth slow motion. And the 4K resolution implies you can cut into your video and crop it as per necessity without affecting the quality of your footage in any way whatsoever. Further, switching on your ProTune mode will give you complete authority over your image settings, and you can now control your shots manually in-camera. This is an extremely handy feature because of the unique conditions of the underwater world. But if you are an amateur and don’t have a clear idea about what to do with ISO settings, white balance and exposure, it is probably prudent to leave the ProTune mode off while shooting for the first few times. 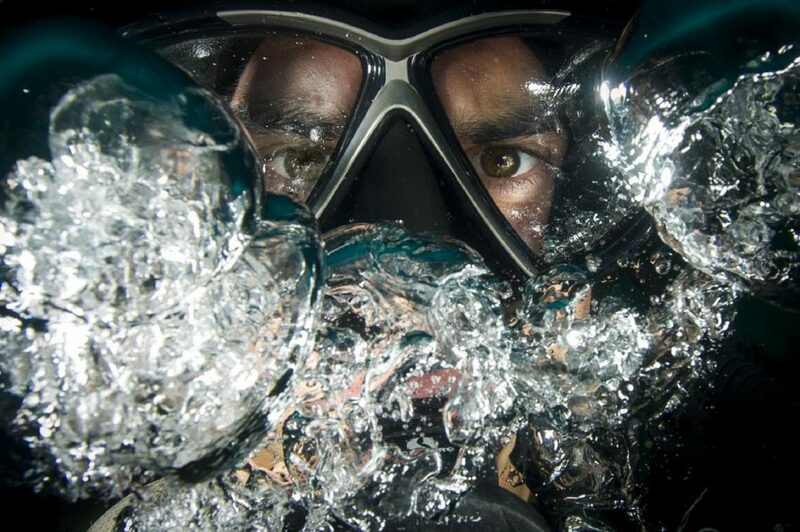 Recording footages underwater is a completely different experience when compared to shooting on land. There is nothing more frustrating than to spend time with the creatures in the underwater world to come back and realize that the videos you have shot are too wobbly and poor in quality. It is therefore important to keep a few things in mind before you plan your dive and delve into the depths among sea turtles, sharks and coral reefs. Remember the loss in vibrancy of color and contrast while shooting underwater is because of the light travelling in fluid medium. So in order to take better shots, you need to minimize the distance – and consequently, the liquid – between yourself and the subject, preferably to less than 5 feet. Sea creatures have a common pattern of movement. It is ideal to observe these patterns, identify them and approach them gently for taking pictures without scaring them off. You need to be calm and relaxed, for any kind of sudden movement is likely to excite your subject and make them bolt in the opposite direction. Utilizing the sun to your benefit is yet another important thing to remember while shooting underwater. Always try to make sure that the sun is at your back. This not only helps to lighten your subject but also brings the full spectrum of colors back to your photos. Moreover, you can add a solar flare impact on your photos with the sunlight piercing through the surface of the water. If you have dived before, you are probably aware of the fact that fish and turtles often end up blending with the coral reefs. In order to prevent this, you will be required to shoot at a slightly upward angle which allows you to focus on your subject rather than the background. Also, the closer you are to the surface, the more sunlight there is, and the less color and contrast is lost. It is important to choose the field of view in relevance to your shots. A wide field of view is the best if you are looking to capture wide-angled shots, for instance, of wrecks or reefs. On the contrary, if you are close to a subject and would like to fill the entire frame with the macro sized subject, you need to choose medium or narrow. In case your subject is large (say, a sea lion) and you are too close to it, you’ll need to use the Superview feature. Finally, fogging is a common problem while you are using an electronic device underwater. Make sure you are using anti fog inserts to prevent the moisture build up in your camera while recording underwater. Fogging mainly occurs because of the heat generated by the battery while you are filming underwater. One way of getting rid of fogging is, therefore, to use the QuikCapture feature which consumes less battery, and prevents fogging as well as prolongs your battery life. The physical dimensions of the Hero 6 Black as well as the design are similar to that of the Hero 5 Black. 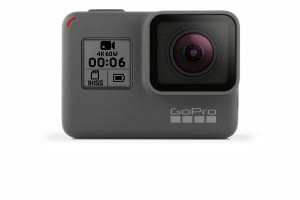 It is the same compact, boxy design that GoPro is known for which is easier to handle as well as convenient enough to carry in your travel bag while on the move. This means that the gimbals and accessories that you have been using for your Hero 5 Black will work perfectly with this camera too. You do not need to buy separate mounts and stuff, which is a relief considering the price of GoPro accessories in the market these days. Firstly, if you are really serious about scuba diving, you must be planning to go deeper than 10 meters. Therefore, you need an additional protective covering to make your Hero 6 Black waterproof beyond that depth. Something like a GoPro Super Suit Housing does a fine job in this case. It protects your camera from all sides and makes it waterproof up to a depth of 60 meters underwater. This is more than enough for scuba diving. It is, however, important to remember that your housing case must be compatible with your camera and fit it perfectly in order to render it completely waterproof. Charging might be a bit of an issue while having the case on, but that’s certainly not a reason not to go for the product. Obtaining stable footage underwater is a huge problem even with the best of GoPro cameras. This is not a surprise at all, given the very small form factor of the GoPro models. The Hero 6 Black tries to improve on this feature and is almost successful with its better electronic image stabilization and superior processor. But even then, some amount of jerkiness is going to creep in, and hence, it is always advisable to use a two-handled tray system like the Vicdozia Stabilizer that not only keeps your camera stable but also supports the use of video lights, should you need them. All you need to do in this case is to keep your arms rigid and stay relaxed instead of rushing into the action. The tray mount will do the rest. When you are filming underwater, you are basically dealing with low light conditions. And it is not a secret that GoPro devices shoot better in presence of bright light than low light areas. Hence, it is always helpful to have artificial video lights to brighten things up when you are so deep under water that there’s not enough sunlight penetrating through. LED lights like the Bestshoot 30Meters Diving Light bring back the color and detail that is usually lost because of low light. In order to use them, you need to have a tray with handles that are equipped to attach the lighting options. There is no substitute for continuous lighting for capturing smooth videos and good underwater stills without losing much color and detail. Video lights are, however, not enough to capture the true colors unless paired with filters. In fact, if you are using GoPro Hero 5 or 6 Black and its predecessors, a red filter and a magenta filter are the basic accessories you will need in order to capture underwater footages that are not completely blue or green. There are several kinds of filters available, I prefer to use the official GoPro Blue Water Dive Filter because it’s compatible with the Super Suit Housing– shallow filter mostly for snorkeling and free diving, dive filter for diving between 20 and 50 feet, deep filter to bring out better colors at a depth of more than 50 feet, night-sea filter to experience the fluorescent colors of underwater critters, and so on. Considering the image quality of the Hero 6 Black, however, you may find yourself doing well without buying any of these filters though! The Hero 6 Black is undoubtedly the first choice when it comes to action cameras for underwater photography. Not only is it the best GoPro for scuba diving, but also the best action camera overall in the market currently by quite a margin. On the flip side, it digs deep into your pocket, but honestly, you would have probably expected that from GoPro. The best experience, as they say, comes at a price. The Hero 6 Black specifications look fantastic on paper alright, but you won’t actually experience the difference until you have seen it perform underwater. It is a worthy upgrade, especially if you are not a fan of using filters while filming schools of fishes. The GoPro camera comes with its own set of mounts, but you’ll need to buy the additional ones if you are planning to take it scuba diving. It ultimately remains your personal decision to settle on whether to go for it. In case you do, rest assured, you are not going to be disappointed.